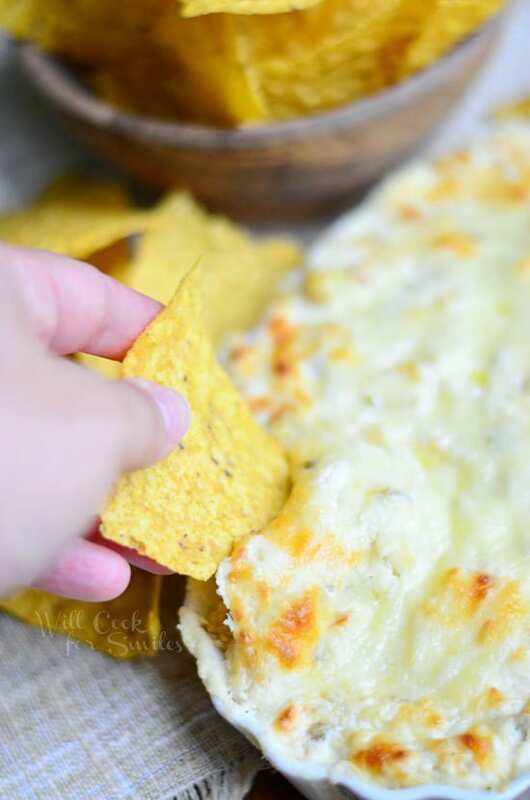 De-eelicous dinner that’s easy to prepare and ready in under 45 minutes! 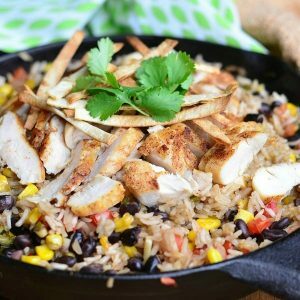 Chicken Tortilla Rice Skillet is a wonderful dish inspired by one of my favorite soups and holds all it’s great flavors. I’ve actually been craving Chicken Tortilla soup this week but realized that I already made two soups in five days. When the Fall comes, I tend to get a little soup-happy. So I found an awesome way to satisfy my craving without making another soup. Plus I got a great new dish out of it. 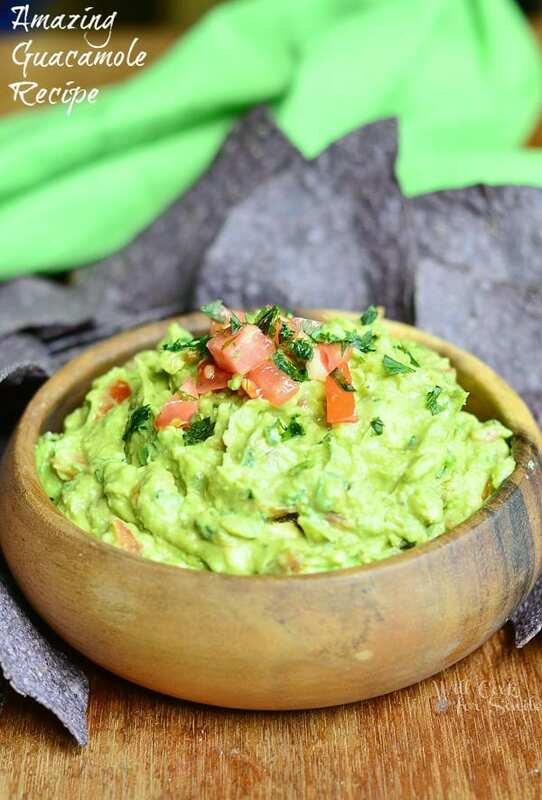 You will love how easy this whole thing is to make. 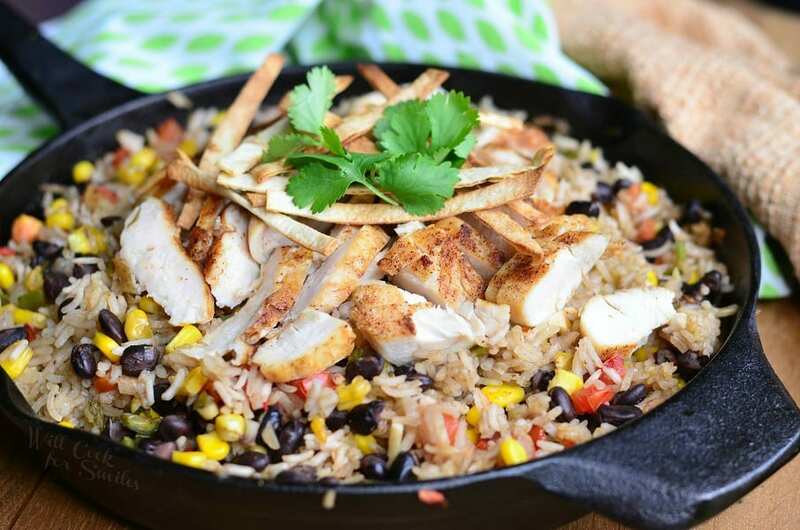 All you have to do is combine all ingredients, except for chicken and toppings, in a skillet and pop it in the oven. Cook chicken in the pan and toast some tortilla strips. Why did I sear the chicken instead on cooking it with rice? Mostly because I love a nice sear on meats. It brings so much more flavor to meat and gives it that nice, crispiness on the outside. 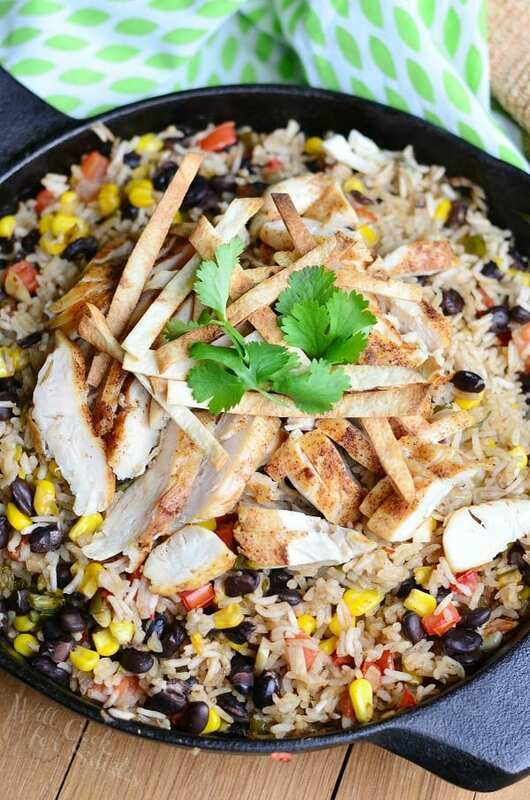 Chicken Tortilla Rice Skillet is a wonderful dish inspired by one of my favorite soups and holds all it's great flavors. Combine corn, beans, diced onion, diced tomatoes, minced jalapeno, rice, stock, cilantro, salt, chili powder and red pepper flakes in a large bowl. Stir and transfer the mixture into a well seasoned cast iron skillet. 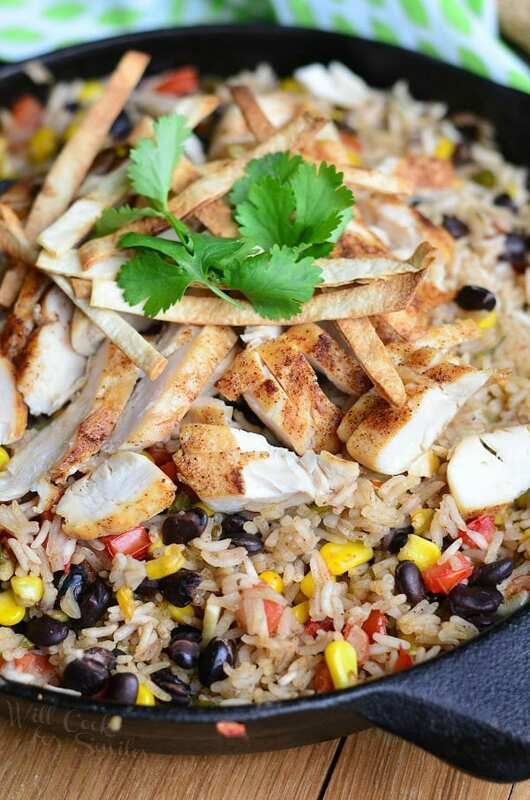 Make sure that rice and veggies are evenly distributed throughout the skillet. Place it in the oven for 30-35 minutes, carefully stirring after about 20 minutes. While rice and veggies are cooking, sear chicken tenders with some salt and chili powder on stove top over medium heat. Dice chicken when it cools enough to be handled. To toast tortillas: slice two large tortillas into thin strips, about 2 inches long. Spread them on an ungreased cookie sheet and toast them in the oven until golden, about 2-4 minutes. I make a version of this, only not from scratch, we use a bottled sauce that is actually pretty good for the busy days. I know exactly what you mean about being soup happy! I love soup and your recipe looks fantastic. I’ve got to tell you cuz I think you’ll appreciate this — we are in Saint Simons Island, GA and I went to a consignment shop. I lucked on a Le Crueset iron skillet in the flame color — exactly like our Dutch oven. It’s a 10 inch skillet and looks like it’s never been used and I got it for $30.00. I was doing a happy dance in the middle of the store. Everyone else was looking at clothes, jewelry and purses. Boy did I feel lucky 🙂 Your recipe would be a great first dish for it. Hahaha! Gotta love those kids of finds, right!! Thank you, Marisa 🙂 I hope you like it! Definitely going to try this, sans the beans. We are not a beans family. Yay! I hope you’ll like it, Meghan! Thank you! What an awesome, awesome idea! 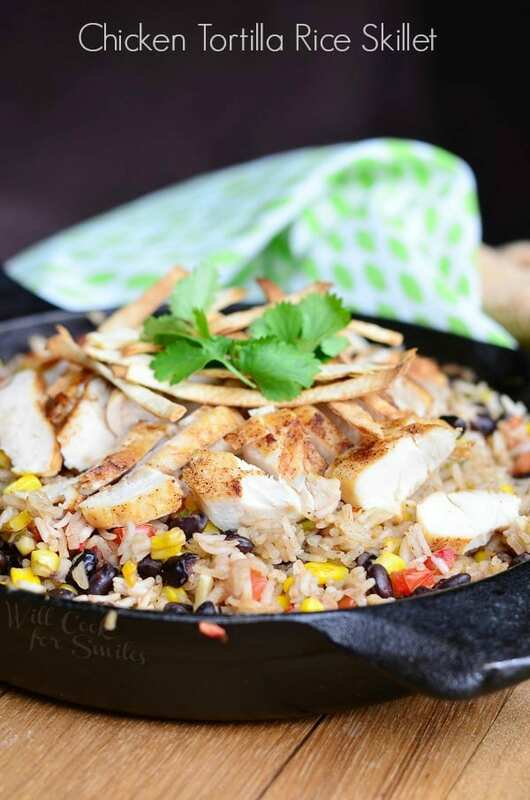 I love everything that you loaded into this skillet. And I couldn’t agree more about soups…I love me some Fall soups! (We’ve also made 2 this past week already…haha). We make huge batches of soup and then freeze them to pull out for easy lunches later. 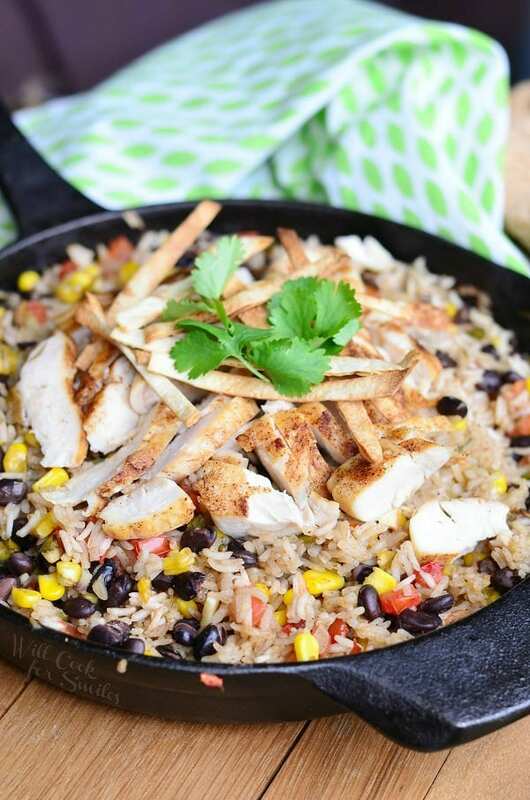 This skillet is totally going on my “must make soon” list! Pinned! Great idea! I should start doing that. I love soup too, but this recipe looks awesome! I love that everythign is one skillet and it is packed with tons of ingredients. Oh yea 🙂 Thank you, Amy! Hi! 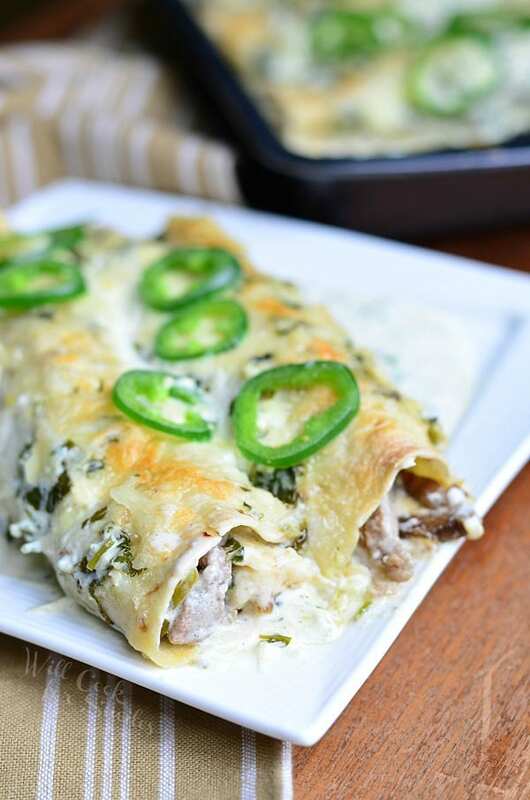 I came across this recipe and am super excited to make it for dinner tonight! I do have one question…. For the corn and black beans, I bought canned. Hoping this was right? With the canned, do I need to drain them first? Canned is just fine, or frozen, just not fresh because it will be that much more cooking first. 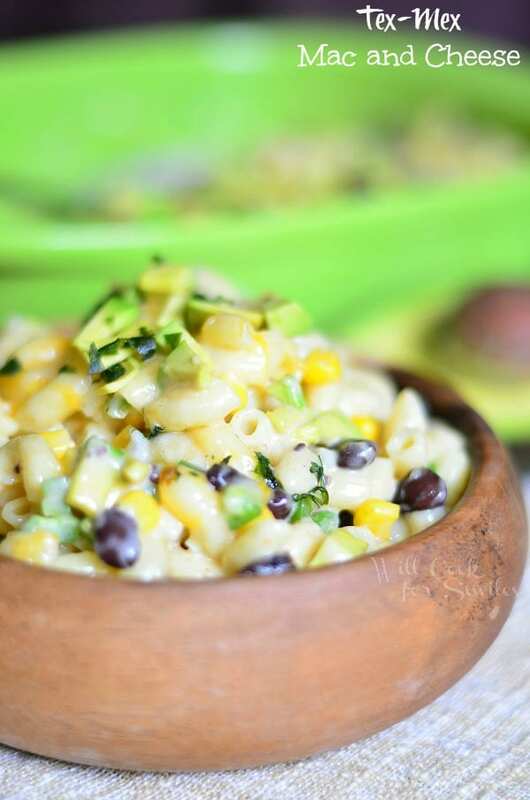 Do drain beans and corn completely. Thank you, Jessica! Again, sorry to answer you late. Is the rice supposed to be cooked or raw? Hi there! Rice is supposed to be raw, it will cook in the oven. Hope you enjoy it! Anyone making this, please precook your Jasmine Rice, or use a minute rice. Will Top with fat free sour cream & shredded sharp cheddar if it turns out fine.